Prepare and manage project plans for delivery of Enterprise solutions to customers and partner. 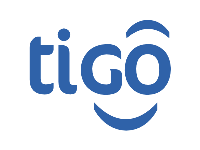 Prepares technical presentations and demonstrations for TIGO sales team to ensure they understand product operation and customer value that meets the customers' needs. Develop, identify and create solutions for new business opportunity. Assists Key Account Managers in analyzing customers' current and future business needs, from a technical perspective and recommends solutions. Forecast for Capacity requirements for both National, Cross border connectivity for B2B requirements. Ensure customer SLA are met by working closely with the Factory Team. Set up policies/procedures with Factory/SCM/Legal team to ensure that partners/resellers of Enterprise solutions are properly managed when connecting to Tigo Network. Analyze ongoing and future technological solutions that may cater for customer requirements. Benchmark services offered by Tigo with competitors. Consolidate corporate local and global projects plans and follow-up. Assist Corporate Sales engineers on service delivery for different solutions/requests from their clients. University degree in technology / engineering or related area. At least 4+ year’s relevant experience in telecom industry in B2B solutions. Familiar with common industry solutions, such as: IPPBX, Unified Communication, Storage, enterprise data centre. Have experience in industry ICT integration, have the ability to independently design the solution that provides end to end solution integration;IP Networking knowledge and experience. Knowledge and experience on transport network and operations. A team player, able to work well in local environments and influence them. To ensure all supplier invoices are recorded in invoice register within 24 hours after receipt and follow through the chain to ensure approvals are obtained in time to allow other payment processes to continue flawlessly. Ensure that all Journals and other accounting records are properly filed and for those that are more than one year are properly archived and also ensure are available when required by either auditors or any other staff. Actively participate in monthly, quarterly and yearend financial reporting. Retrieve of records from archive when required. Support auditors by providing documents from archive during auditing when required. Degree in B-com, Accounting or related field. 2yrs and above working experience in the Accounting field. "We are committed to equal employment opportunities and unbiased treatment of all individuals in all employment practices" Only Successful Candidates will be contacted"